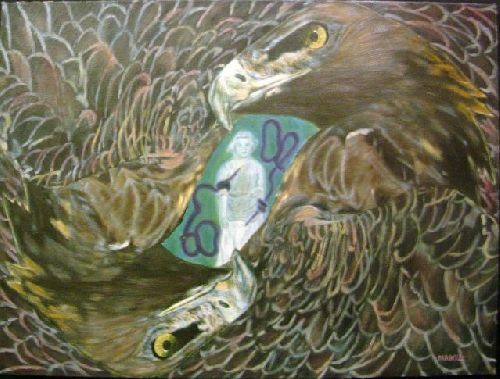 "Balance", is a 14 by 28", original oil painting.This symbolic image representing the masculin and feminine aspects of nature,the positive, the negative and the connection between us all. 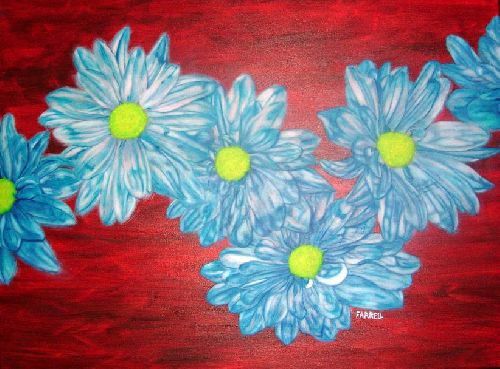 "Painted Daisies", is an original oil painting. Theses stunning flowers dance across the red stained canvas. The haphazard brushstrokes in the background rip across the canvas, leaving a rich wood grain behind, excentuating each flower with it's rich definitive colour. Sun-flake", is a 24 by 30", original oil painting. 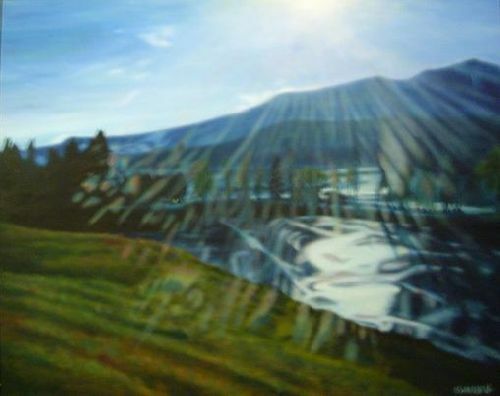 A landscape of the Artist's town, the painting coincedently matches perfectly the composition and colour of an old Cezanne painting of a bay.Cezanne describing in a letter to a friend noticed how the arrangement personafied each layer, like in a deck of cards, each card layered under the first. "Through The Trees". 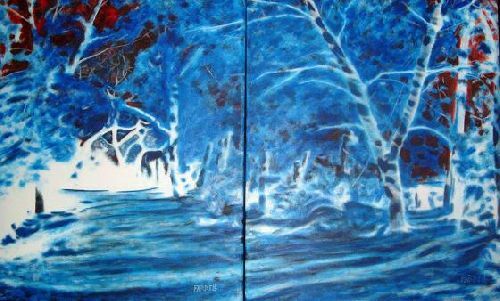 are two 24 by 20" original oils.This magik forest enchants any setting and would be a lovely addition to any home. "Tipu", is a 14 by 28", original oil painting. 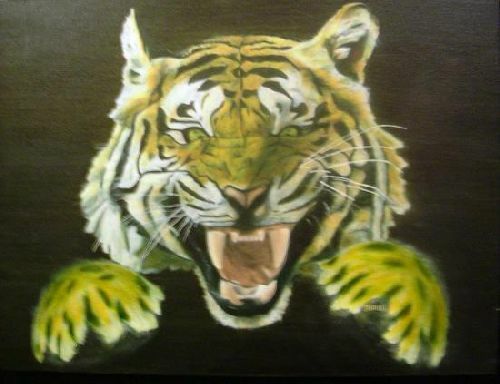 The word Tipu was one of the first words used in India to describe the Tiger - meaning "King of the Wild".